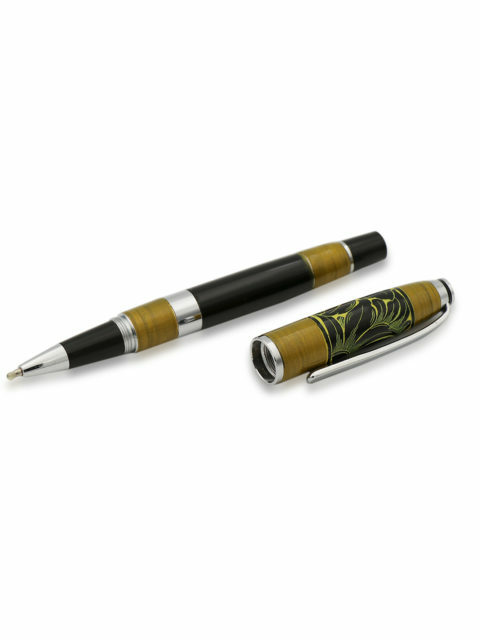 If you’re someone that uses pens frequently then you might have noticed just how boring the pen designs really are. 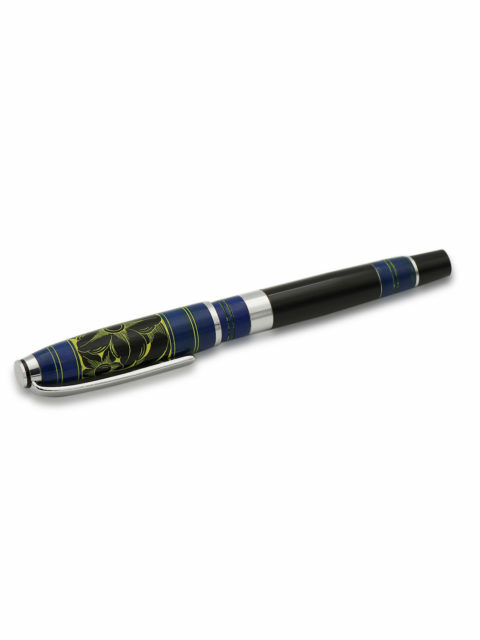 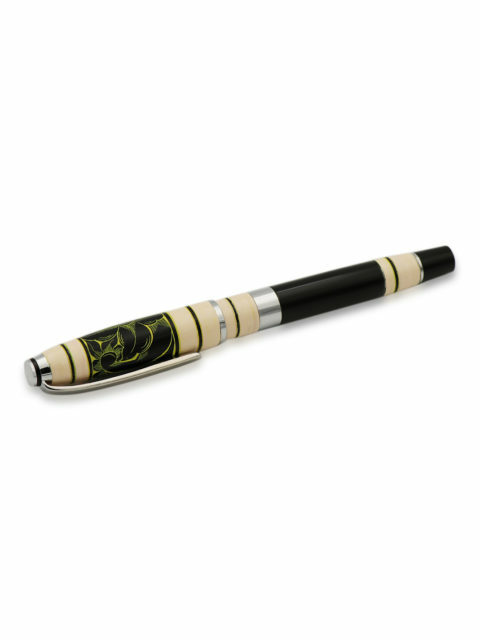 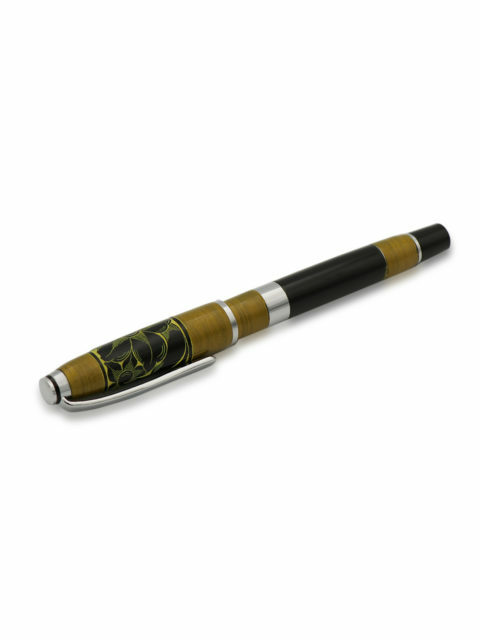 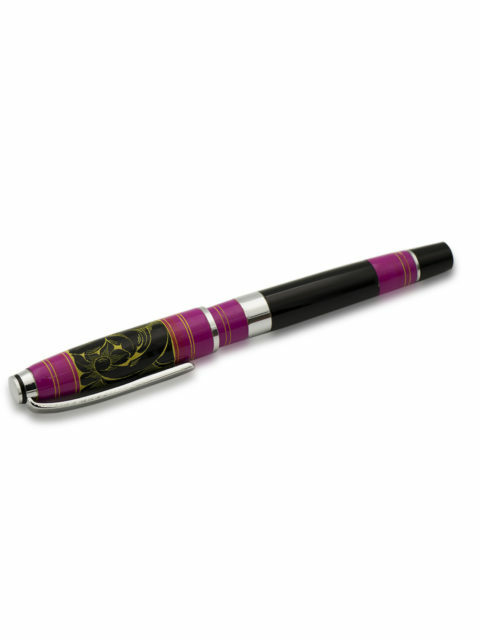 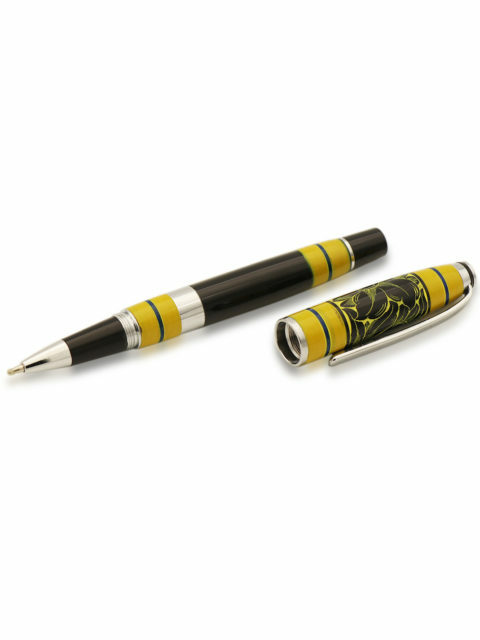 For something that you are to use every day, a pen should be something personalized and with a visual appeal as well. Our Lacquered Cyan Blue provides just that. 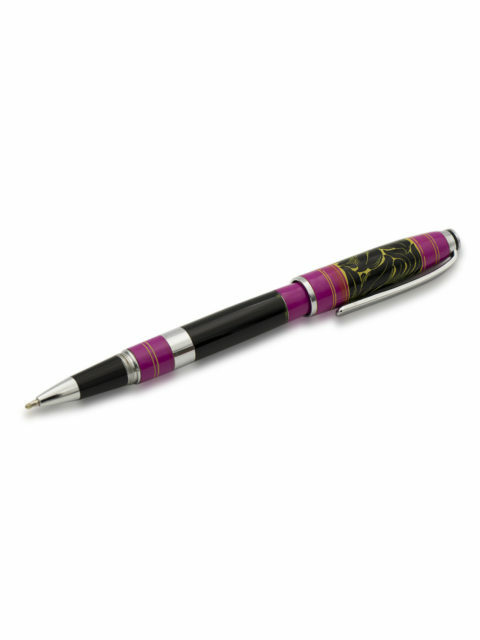 Pens don’t have to compromise on build quality to look stylish. The Lacquered Cyan Blue is the prime example of this. 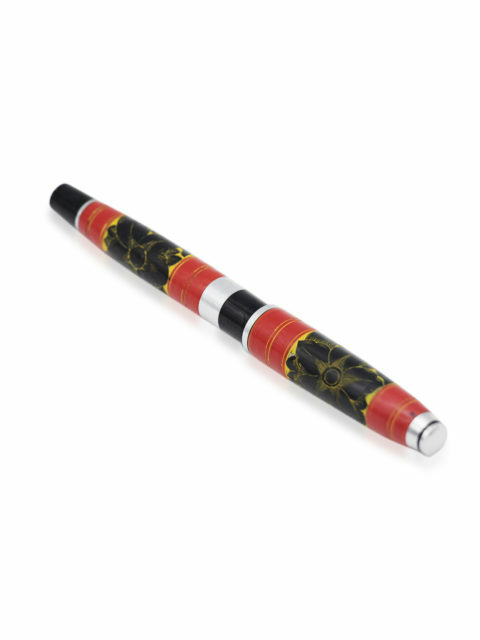 The perfect blend of style, functionality, and high quality, this pen is sure to provide you with a memorable writing experience. 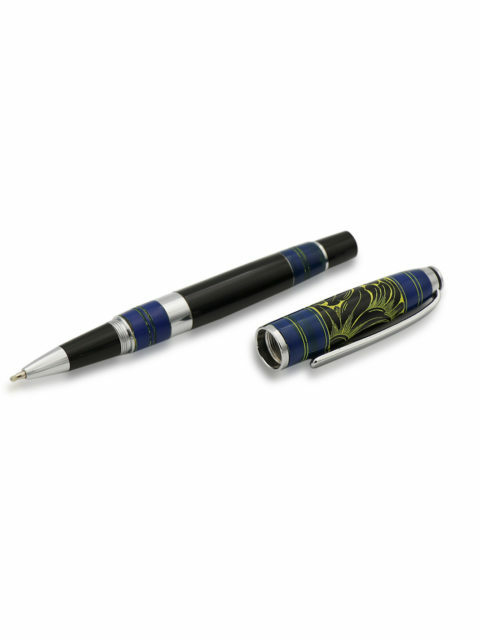 Cyan blue color is unique and beautifully complemented by the bands of black and silver. 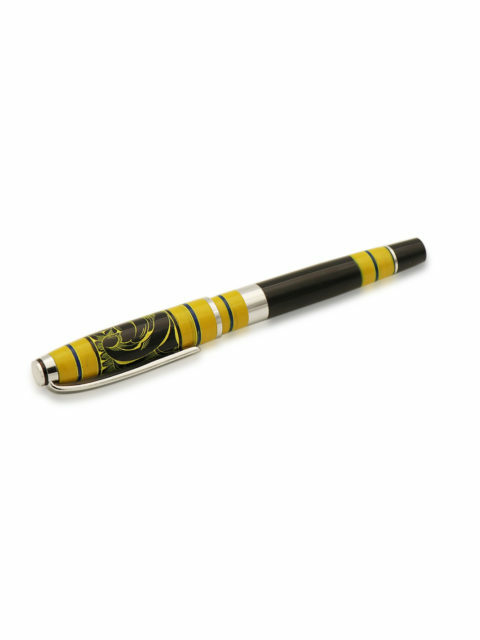 On the cap is a flowery decoration traced in yellow on a black background. 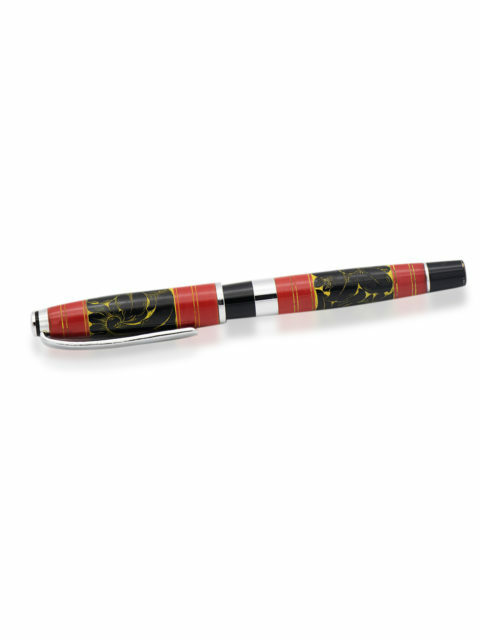 We also see thin bands of red enclosed by yellow as well as some thin greens as well. 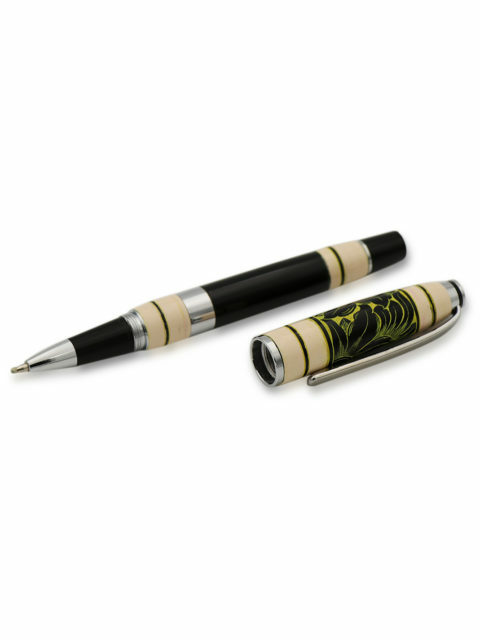 A solid product with a high-quality design and premium lacquered finish that provides a smooth and luxurious writing experience. 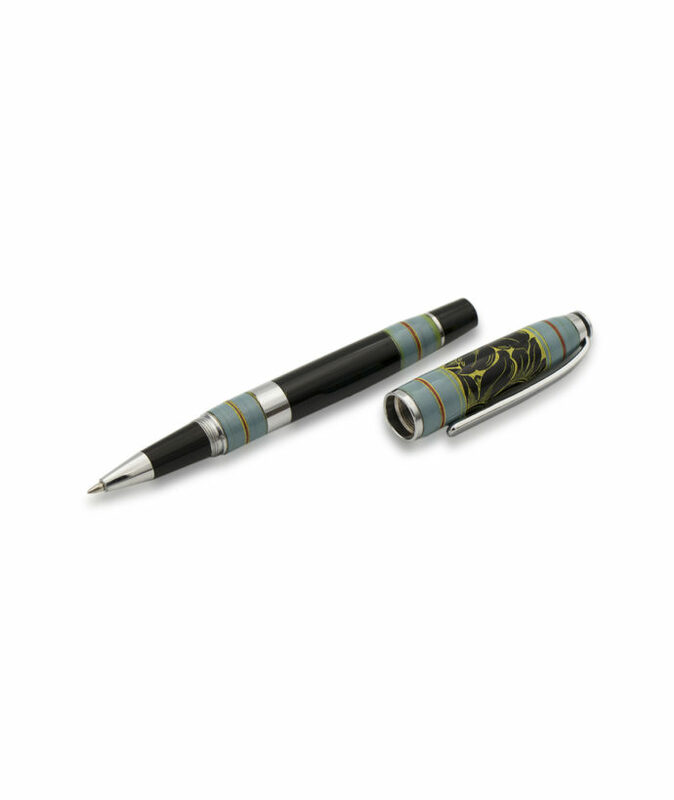 You can buy your Lacquered Cyan Blue today and even get your name carved on the side if your desire. 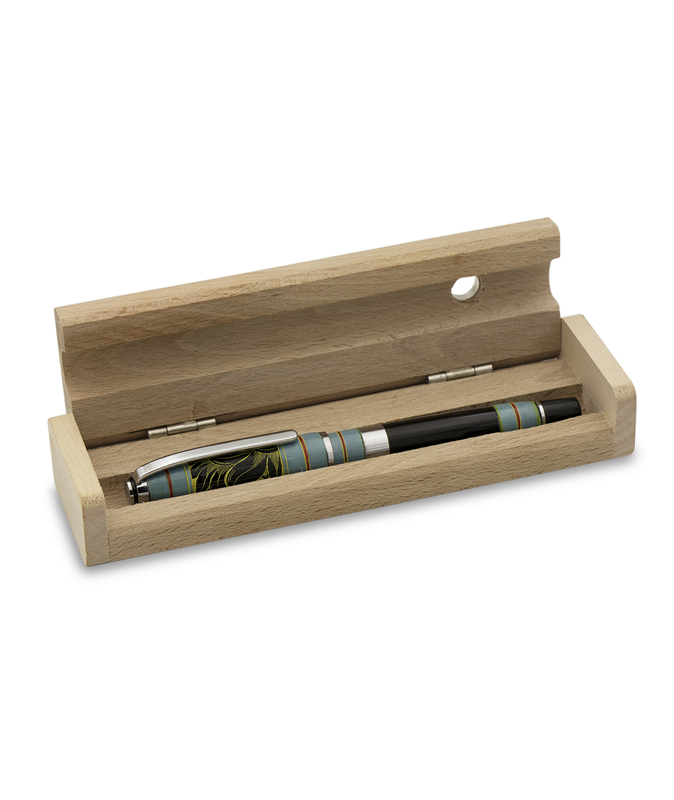 This also makes it an excellent idea for gifts where you can have your friend or loved one’s name carved on the pen to give to them as a gift.